Storytelling has a way of creating empathy. 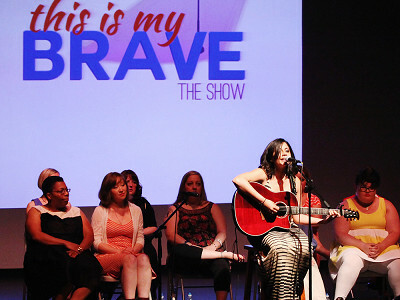 This is My Brave is using that power to humanize mental illness, letting people nationwide tell their stories through music, comedy, and writing. They produce live shows around the country by working with local leaders, then publish the stories online to achieve an even greater reach and open up the conversation. About one in five Americans lives with a mental illness, which is what makes This is My Brave’s mission so essential. They are promoting understanding, solidarity, and hope among neighbors, family, and friends. After Co-Founder Jennifer Marshall was diagnosed with Type 1 Bipolar Disorder, she found solace in blogging. She realized that others could benefit from a creative outlet that would also help open up the conversation about mental health. Hello everyone! 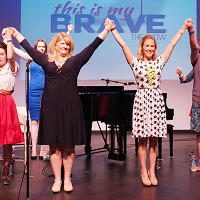 I’m Jennifer Marshall, Co-Founder of This is My Brave. We're dedicated to ending mental illness stigma through storytelling. I'm excited to share our story with you today. What elements of This is My Brave's work did you consider essential from the beginning? We pride ourselves on staying true to our mission - providing a platform for individuals to share their true, personal stories. We found it essential from the beginning to ensure that the experience of being a part of the show is a positive one. We help our Producers create safe spaces for their storytellers to come forward and tell their stories, and we work hard to create a supportive environment for our storytellers to come together and create an impactful experience not only for the audience, but for the storytellers as well. Many develop lasting friendships as a result of their involvement with This Is My Brave. What reactions have you gotten from people that learn about the organization for the first time? Most people when they learn of the work of This Is My Brave are incredibly moved by our work and the powerful stories which are shared via our platform. The communities we've worked with are so appreciative of our shows and often invite us back to hold more performances because they know how important it is for their community to continue to hear the stories of individuals overcoming mental illness. What is the organization’s reach? And how do you select the cities that put on a show? Since our start in 2014, This Is My Brave has produced twenty unique storytelling shows in eleven states across the US featuring nearly 300 storytellers. By the end of 2017, This Is My Brave will have had over 500 individuals share their stories on our stages in 42 shows across the US plus one in Australia. We host shows in cities where volunteer producers have applied with us to produce a show. Donations to This Is My Brave are used in various ways to help our organization put on more of our healing shows. Funds are allocated to theater rental costs, videography of our shows, printing and marketing costs, programming in our communities such as Brave Bead parties and community mental health outreach, merchandising, staffing and administrative, and travel expenses for staff to attend shows. Storytelling has a way of creating empathy. 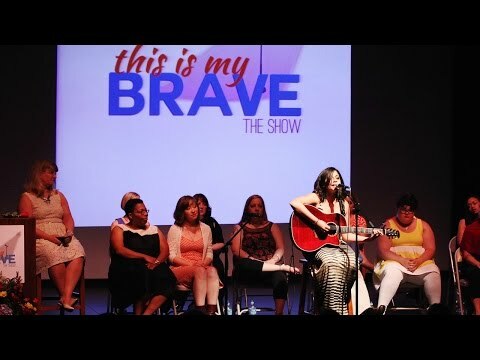 This is My Brave is using that power to humanize mental illness, letting people nationwide tell their stories through music, comedy, and writing. They produce live shows around the country by working with local leaders, then publish the stories online to achieve an even greater reach and open up the conversation. About one in five Americans lives with a mental illness, which is what makes This is My Brave’s mission so essential. They are promoting understanding, solidarity, and hope among neighbors, family, and friends.